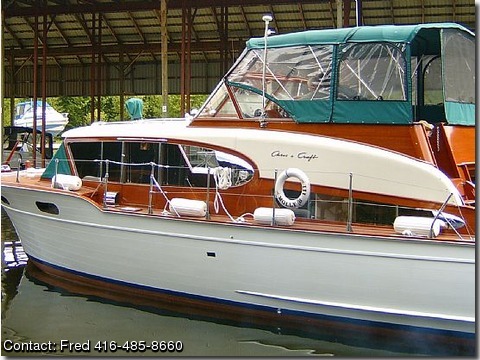 FOR SALE: Classic1956 Chris Craft Corsair Hull #14.
replaced, along with the rotten wood in the hull. There is a full set of canvas covers & camper top for the command bridge. There are a couple of issues that have come to light recently. 1) The transmissions are Chris-o-matics and are not working properly.